The theme of this international painting course is inspired by the idea that “Painting from nature is not copying the object; it is realizing one’s sensations,” Paul Cezanne. 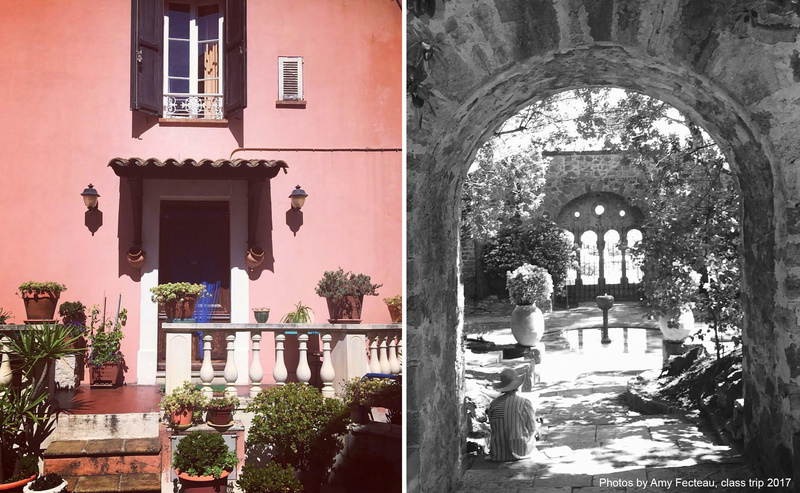 This idea will serve as the jumping off point for our week-long painting retreat led by Adeline Goldminc-Tronzo at The Château de La Napoule Artist Retreat on the French Riviera. Working in oils, acrylics, watercolors, etc students will live and work at the Château, a castle dating back more than 2000 years and perched on the banks of the Mediterranean Sea in La Napoule, France. Students are housed both in the Château and in a private Villa on the grounds. Most meals take place in the grand dining room of the Château. With its eight acres of formal gardens and sculpture adorned architecture, the Château holds two coveted distinctions from the French Ministry of Culture: Monument Historique and Jardin Remarkable. The retreat’s ideal students are those who are comfortable in their media of choice and who are interested in their own personal development. Unfortunately, the retreat (this year at least) is not intended for beginner students as we will not be discussing technique or materials on a novice level.